Transnet's board has suspended two senior executives. The employees are implicated in "multiple investigations" commissioned by the Transnet Board, particularly the awarding of the 1 064 Locomotives Acquisition tender, which escalated to more than R54bn, Transnet said. Jiyane and Mdletshe were both served notices of intention to place them on precautionary suspension on August 15. CEO Siyabonga Gama was also issued a notice. All three were given an opportunity to make submissions of defence. The Transnet board held a special meeting on Wednesday September 5, and considered the representations of Jiyane and Mdletshe. "The board concluded that representations by the employees were implausible and that their continued presence at Transnet is likely to hinder and prejudice further forensic investigations that the board has instituted," the statement read. Additional charges to the employees include the withholding of company information which is "crucial" and relevant to the locomotives tender from the forensic investigation. They have also failed to cooperate with investigators and have refused to hand over company property in the form of laptops, mobile phones and other devices, according to Transnet. In Gama's letter to Transnet chair Popo Molefe, which Bloomberg had seen, the CEO said he acted in "good faith" as a director and that he believed there were plans to suspend him regardless of his submission. Over the weekend City Press reported that Gama had appealed to Public Enterprises Minister Pravin Gordhan to intervene in what he called the "destabilisation" at the entity brought on by the chairperson. Transnet did not make any announcements about Gama in the statement. 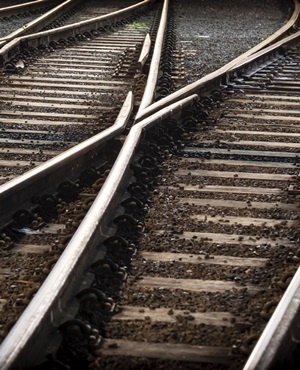 Transnet said the board would in due course "execute other resolutions" that were confirmed in the Wednesday meeting. Chairperson Popo Molefe told Fin24 that the board will make an announcement on Gama when it is warranted. "When it is time to make an announcement, we will do so," he said. *UPDATE: This story was updated at 19:50 on Thursday September 6, 2018 to include comment from Transnet board chairperson Popo Molefe.